The poverty cycle*. It’s one thing to know the concept. It’s another thing to put human faces and even addresses on it. 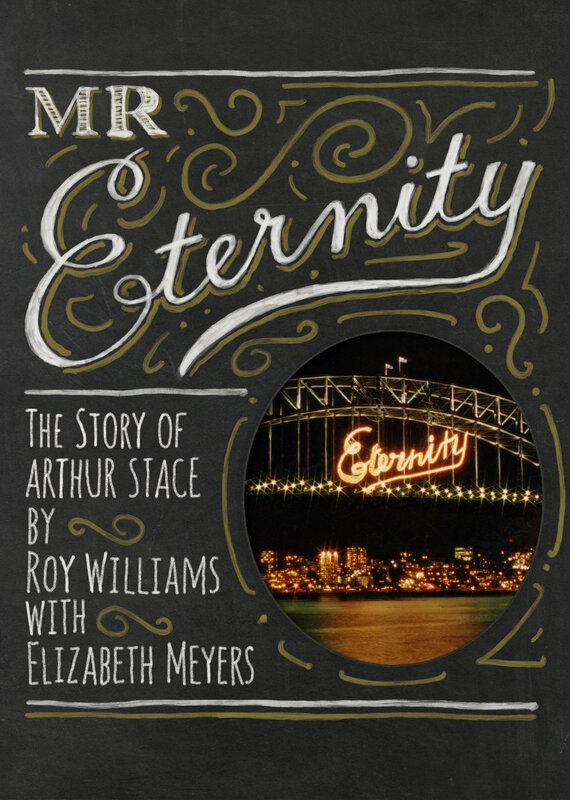 This is what I found so striking about the first four chapters of Mr Eternity - The Story of Arthur Stace. The depth of research behind this book, the inclusion of newspaper clippings and direct quotes from the primary records, the fact that the streets named are streets I know from living in inner Sydney... it’s quite confronting. It really darkens your heart to read about the generations of the Stace family as they slip further and further, get trapped again and again - by a cruel combination of choice, yes, and also circumstance - in brutal patterns of alcoholism, incarceration, prostitution and violence. Williams & Meyers do well to convey the complexity of that combination of choice and circumstance. They celebrate where honourable decisions were made, as well as acknowledging the factors which hastened the bad ones. One little episode which I appreciated, one glimmer in the grey, was the story of Clara - Arthur’s step-sister. Almost poisoned by her own grandmother as a baby, given over to the infamous Industrial School for Girls at Parramatta by her mother (following abandonment by her father and then step-father), unmarried and pregnant to a Chinese gentleman, which given the appalling racism of the time ‘would have seemed the ultimate disgrace’ (p31)... it wasn’t looking good. And yet ...here’s the glimmer: ‘John Go-Hing stuck by Clara and subsequently his extended family rallied around her in a way that her own parents had never done. She was welcomed into their homes and treated with dignity...of all the Stace children, only Arthur went on to lead a more fulfilling life’ (p31). It speaks to the power of community doesn’t it? Amongst a city of drifters, moving from address to address due to lack of funds, or job to job, or foster home to foster home, or all of the above, Clara found a people, or rather they found her. It is a shadow, an echo, of the eternal community which Arthur would later find, or rather, would later find him.